This past weekend was a hectic one guys! I took a little trip to see the hubby and boy was it a journey. The few days I was there was filled with love, activities, and relaxation. But the plane hopping and flying I did prior wasn’t fun at all! I realized how many things I had left out of my carry on and thought about everything I should have brought with me. I could have made my life 10 times easier! So, I decided to put together this post in an effort to help some of you! 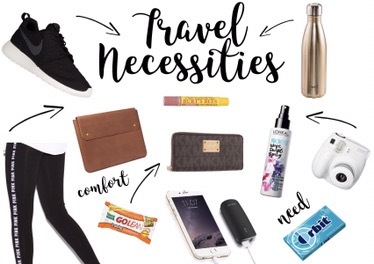 These are my must-have travel essentials for a successful vacay! This first one is so obvious I shouldn’t even be typing this but I’m just now realizing I forgot this on my last flight! Yeah, the flight attendants come around with their little cart full of drinks but those tiny cups just aren’t enough for me! I find myself getting very hot on planes and always end up way too close to my neighbor. 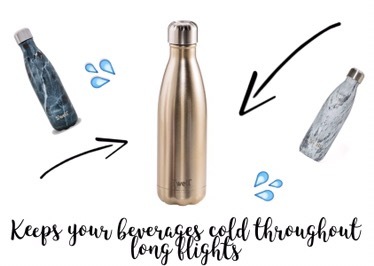 My Swell bottle stays cold throughout my connecting flights and keeps me hydrated when I need it! My recent flight to Texas took a turn for the worst with awful turbulence and a packed cabin. Before boarding, I was asked if I wanted to check my carry on for free instead of storing it away on the plane. I opted for that option since I hate lugging around my stuff through airports. Not realizing it, I completely forgot my laptop was located inside that carry on! When I landed, I opened the bag to find my laptop destroyed! Cracked screen and all. Long story short, I’ve learned my lesson and next time I’m making sure I’ve got my baby wrapped in a laptop case. Don’t take any risky offers like I did or simply remember to remove your electronics and valuables before hand! My favorite airport attire will forever be leggings or sweats. I’ve got no one to impress at the airport so looking great isn’t always my top priority. You can catch me hair up, hoodie on, with Nikes on my feet. I’m obsessed with these foldable wallets that hold everything I could every need. It’s bigger than other ones I’ve owned which makes it harder to lose! Super simple to carry around the airport and get out the things you need. Mine is from Michael Kors but I’m sure you could find a less expensive option at Target, Walmart, or other big box stores! You never know when you’re going to need this item. I’ve found myself in so many situations where I’ve had to spare my phone battery so I could use it when I land. Don’t get yourself stuck in a sticky situation. 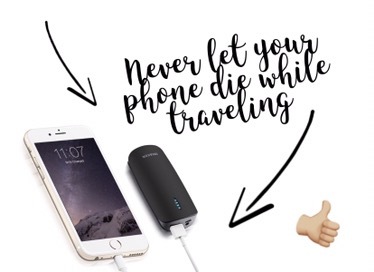 Pick up a portable charger so your phone always stays full battery. 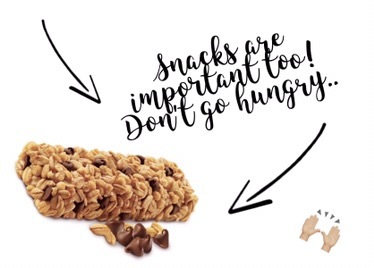 I’m always hungry so a snack is always on my mind. To avoid spending ungodly amounts of money on airport food, I try to keep a few protein or granola bars in my purse. It keeps me full until I can find a more affordable option! When I travel, I hate getting up to do my hair. 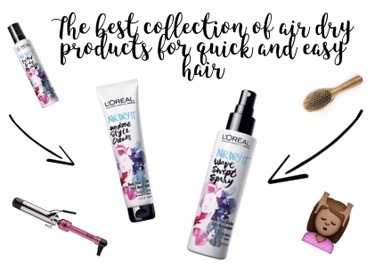 A beach or sea salt spray is always in my bag because it keeps the hair tamed without heat! This is my #1 solution to looking presentable while I’m on the move. My Nikes to be exact. There’s nothing nicer to wear during those runs to your terminal. 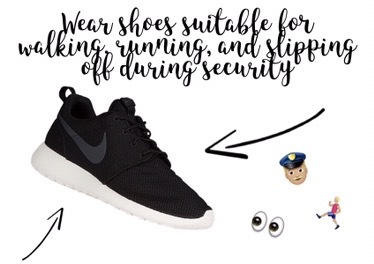 It’s been pretty clear throughout this post that I’m focused 100% on being comfy and sprinting through the airport in intolerable shoes is not one of them! Of course, we all have phones to take photos off of during flight. 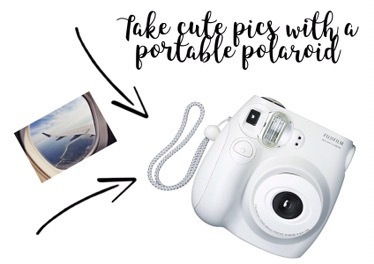 If you want to step it up a notch though I suggest bringing on a Polaroid. They’re light and convenient to whip out when you need it. I love having this on me just in case my phone loses its power and I want to snap a pic of something! 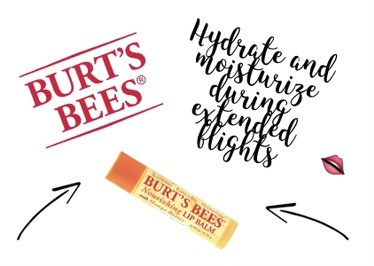 Long flights can dry out your skin and lips so I always try to make sure I’ve got a good chapstick on hand. This item doesn’t take up much room in your bag and does wonders for something you may not think about! 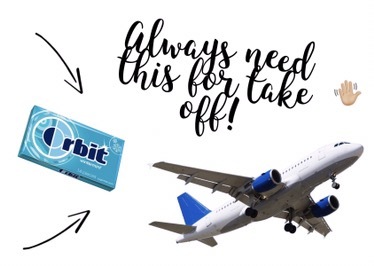 Ears popping isn’t fun so make sure to carry your favorite pack of gum to prevent that from happening. I always regret not bringing this on the plane when I’m already in the air. It’s such a bummer not to have! 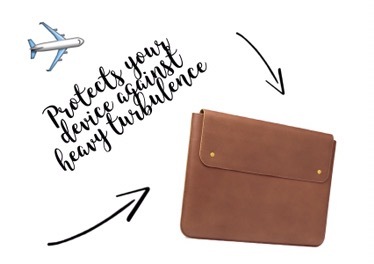 So, what’s your must have travel item? Going on any trips in the near future? In June, I’ll be headed to West Virginia for a quick few days! Any suggestions on what I should do there? 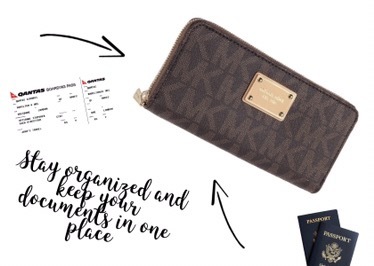 The next time I travel I’ll be able to quickly look back at this pre-made list and hopefully not forget a thing! 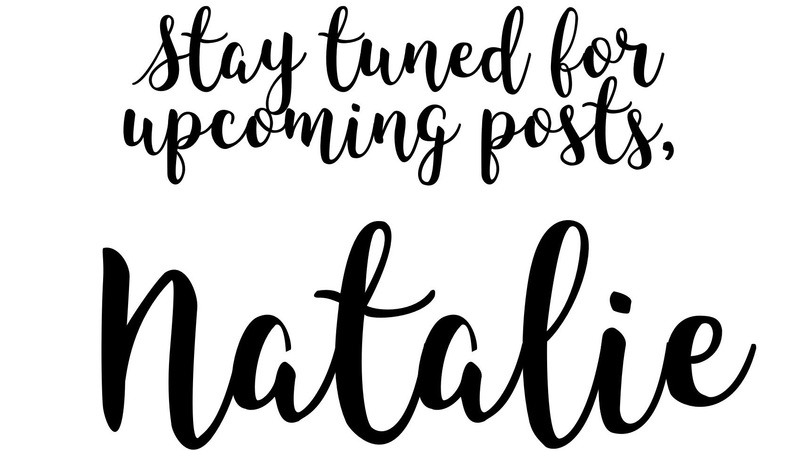 Let me know in the comments or on my other social accounts if this post was helpful to you!